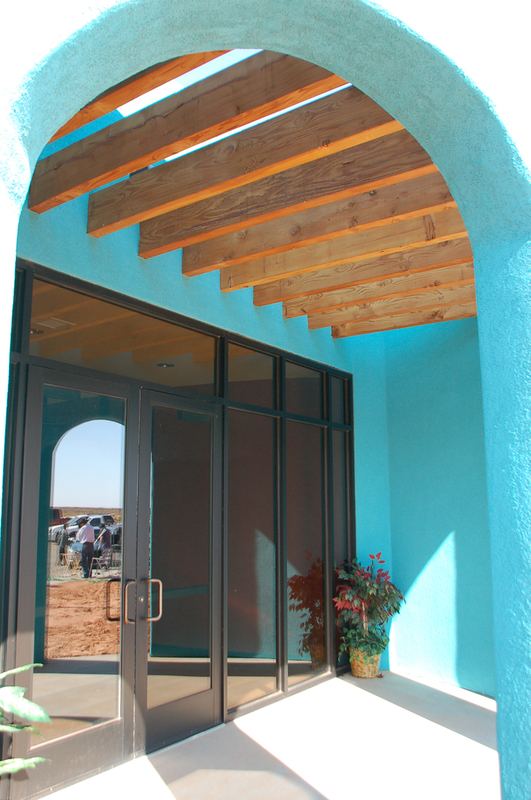 The first building to be constructed within the five acre development is the new Dine’ Professional Plaza, which houses various agencies of the Navajo Nation in Montezuma Creek, Utah. 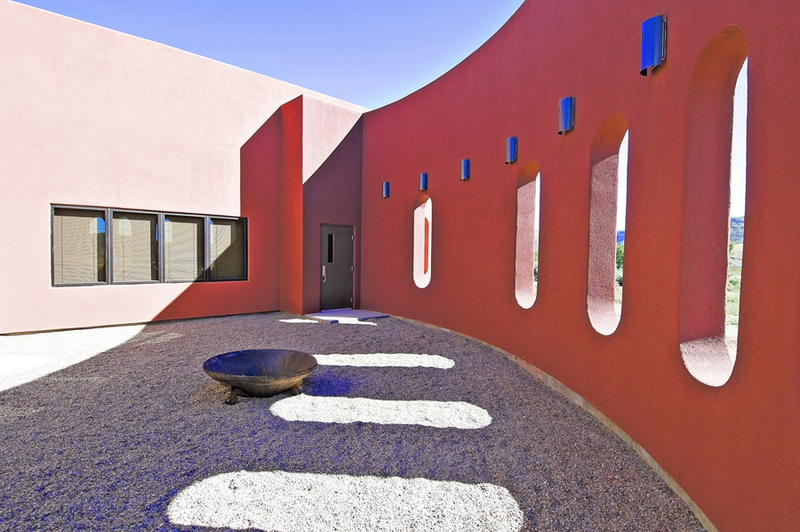 Curvilinear massing and intense earth tones respects the cultural character of the Navajo and the landscape of the surrounding area. This new facility provides the seat of government for the Mexican Water Chapter offices for its multiple users-Chapter Coordinator, Secretary Treasurer, Office Specialist, Veterans group, and Community Health Department. The floor plan allows ease of circulation for receptionist desk, wider hallways and Veteran’s memorabilia display case. A computer center accommodates eight stations for Chapter member use. 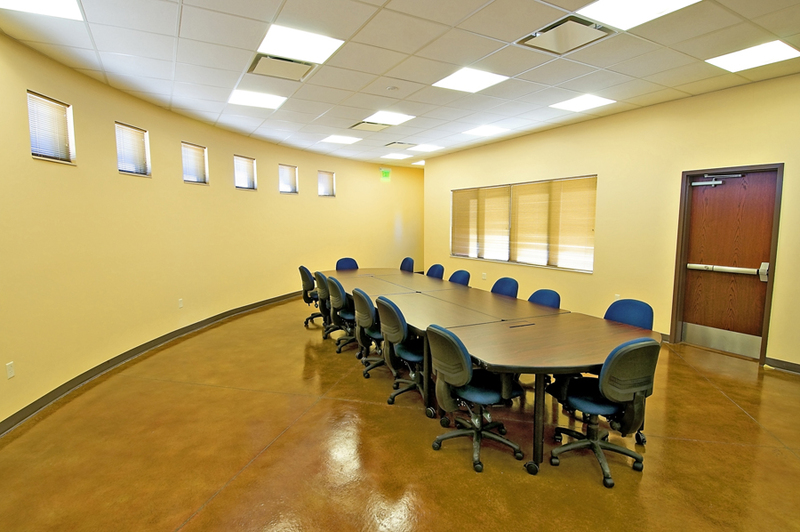 The main chapter meeting room is configured to seat 180 chapter members. There is also a large divisible conference room that seats 24. This building, located at 2500 West 450 South on approximately 3 acre site was unique as it required the design of a seminary school wing addition that was not part of the standard meeting house design. This alternate use required an interior design that allowed part of the building to be closed off during school hours, yet still provide restroom and emergency exit access. ADA access is available at all entries of the building with priority given to safety issues regarding seminary students and occupants exiting into the parking areas. Current building and energy codes were met for an assembly type occupancy and to lesson energy consumption to the greatest extent possible. The wetlands area directly adjacent to the building required landscape design for poor soil conditions. The site’s high water table required extensive sub-surface preparation for the building and parking areas. The landscape design incorporated low water use vegetation as well adherence to city zoning laws requiring trees and parking lot islands.